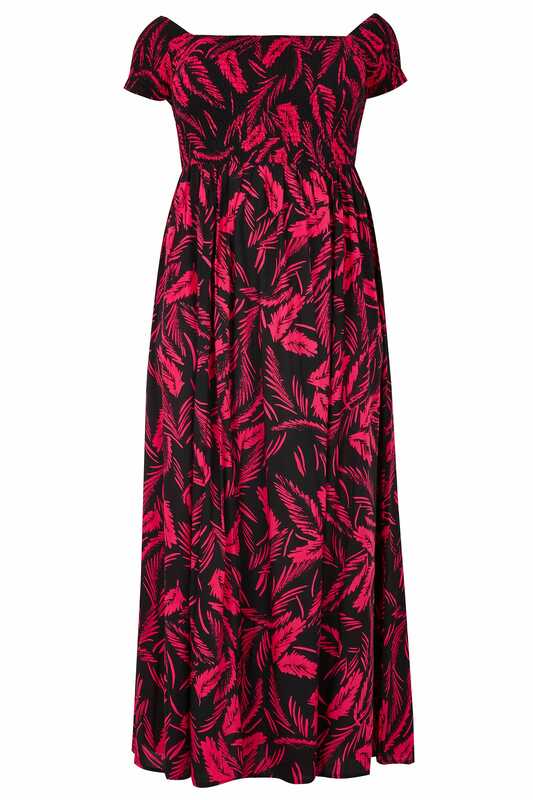 This dress serves as the perfect option on those warmer days. Designed with shirred elasticated upper for a more fitted appearance, its sleeves sit slightly off the shoulders for an elegant look. Team with sandals for an off-duty look. 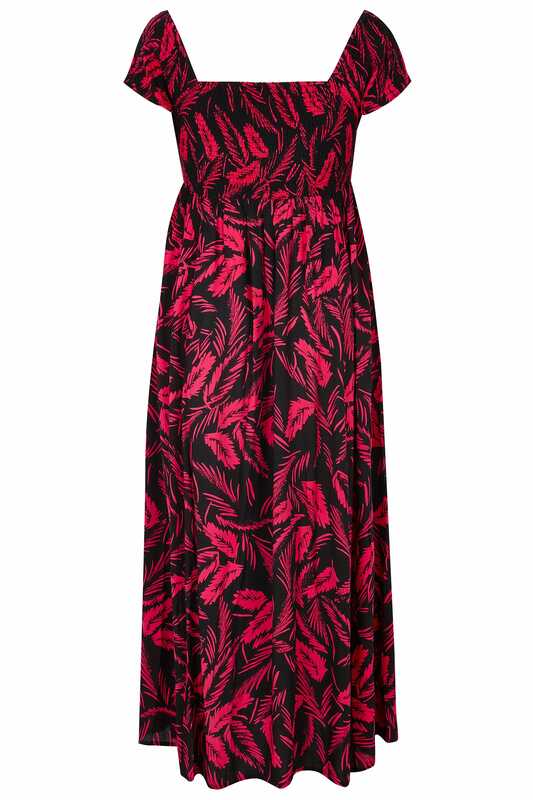 We love the bold tropical leaf print.